Manchester City defender Reece Wabara has said he would be happy to extend his loan spell at Ipswich, but has his sights set on a future at Eastlands. The 19-year-old, initially at Portman Road until January, made a late substitute appearance in last week's win over Brighton. 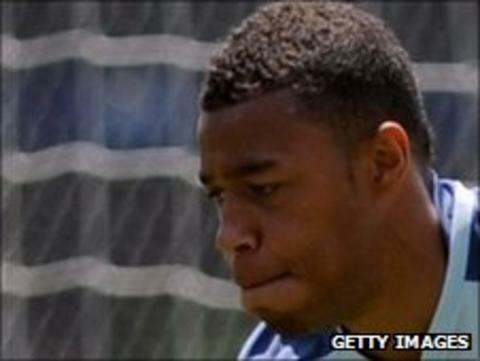 "I'm 19 now and my ambition is to play," he told BBC Radio Suffolk. "If I'm playing and I'm doing well, there's no reason why I can't extend the loan." A product of the City academy, the England Under-20 international made his Premier League debut in the final game of last season. And he is encouraged by the progress he has made in Manchester under boss Roberto Mancini. "I think the manager and coaches have great faith in me, hopefully I can pay back some of that faith," he explained. "To be around those players - if you can fit in there you can fit in pretty much anywhere in the world, so you just learn what you can off them." But a regular place in Paul Jewell's Ipswich side is his first target: "It's difficult to get into any good, winning side. "I've just got to work hard, wait for my chance and show people what I can do."